Perthshire Raspberry infused Edinburgh Gin is handmade in small batches in the heart of Scotland. 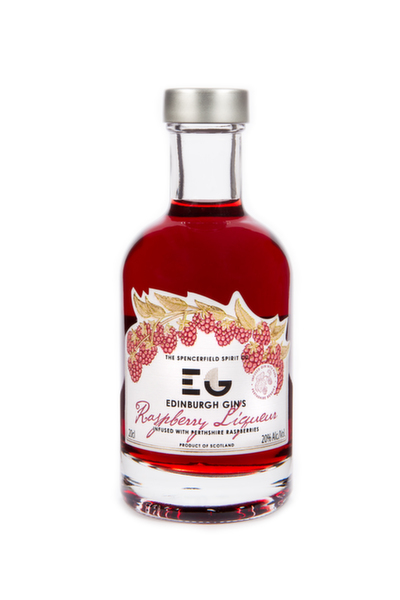 It is made from the award winning Edinburgh Gin infused with Perthshire raspberries and pure cane sugar. Edinburgh Gin is a classic big juniper gin with a twist. Edinburgh Gin is batch distilled in 'Jenny', a much treasured Scottish copper pot still, using traditional gin botanicals. This is easily one of the more patriotic gins and a tasty way to show your colours. All in all, very good stuff! 20cl bottling, bottled at 20% ABV. Produced only in small-batch quantities, this limited edition release can be enjoyed on its own or with champagne plus in a wide variety of cocktails.